In preparation for Christmas, Weir & Sons have put together some unique Irish gifting ideas from some of their Irish inspired pieces. These can be the perfect gift for family members who are living abroad as a lovely reminder of home. From November 27 until December 7, Weir & Sons is offering free worldwide shipping on all orders exclusively to IrishCentral readers using code WEIRSHIP. 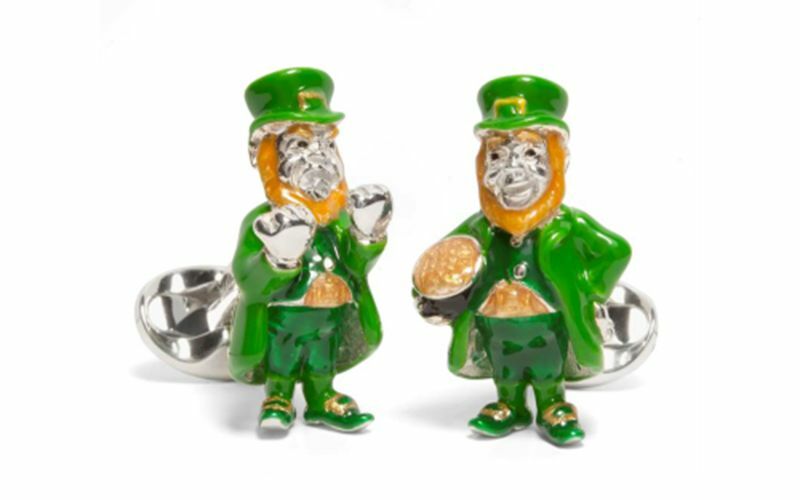 Here are some of their Irish-inspired items that make for perfect Christmas gifts. The Leprechaun is a very mischievous faerie-like creature, known for having a pot of gold at the end of the rainbow and granting three wishes to whoever is able to catch them. They are known to only be found in Ireland and have a love of music and dancing. They have been written about over the years by many Irish authors including W.B. Yeats and they are commonly referred to as the wee people or little folk. These unique cufflinks were specially commissioned by Weir & Sons and are a store exclusive. They are crafted in sterling silver and finished with green and gold enamel bringing the cufflinks to life. These distinctive cufflinks would make an ideal Christmas gift and maybe even bring luck to the wearer. There are many stories of the origins of The Claddagh Ring, but it is commonly thought to have originated in a fishing village named Claddagh which overlooks Galway Bay. One of the popular stories tells of a young Irish sailor who was captured and forced into slavery. While in captivity he is unable to forget his love at home and with the skills he learned while away, he crafted the claddagh as a token of his everlasting love. Depending on which direction the ring is worn it symbolizes the status of the wearer’s heart. When worn on the right hand with the heart facing outwards from the body, the ring signifies that the heart is yet to be occupied; if the crown faces away from the body, this reveals that love is being considered. Worn on the left hand with the heart directed to yourself it shows the world that your heart is truly spoken for. This Claddagh ring is made in 18k white gold by Solvar, featuring a beautiful heart-shaped diamond in the center and the crown also features diamond embellishment. 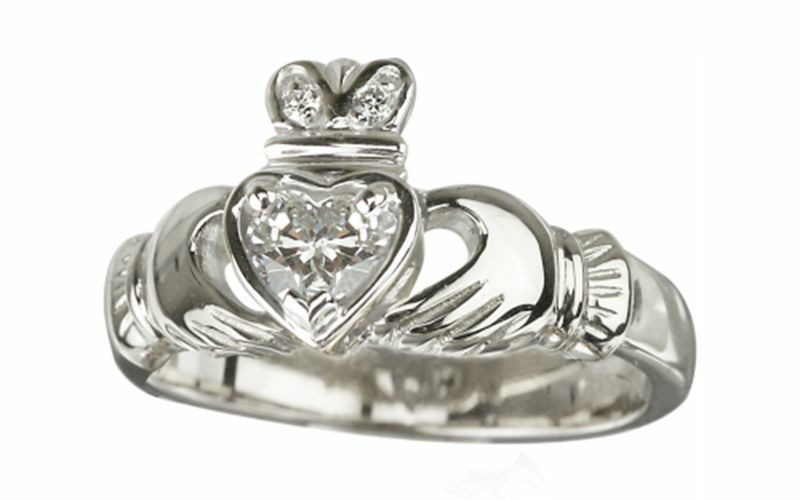 A claddagh ring can be the perfect present to let someone know that you are thinking of them. Traditionally it can also be worn as a token of love or promise ring, sometimes even as an engagement ring! Originally designed in monasteries by the Irish monks, the Celtic knot decorates the pages of many Irish manuscripts such as the book of Kells. It was drawn from dawn to dusk by the monks with extreme care and dedication to illustrate the gospels. The twists and turns of the knot symbolize the nature of the human spirit as having no beginning or end, a sign of eternal life and never-ending love. The traditional three points of the Celtic knot symbolize the merging of mind, body, and soul. This is a piece by Soul Engraver, an Irish brand that was started in 2018, which isn’t a traditional type of Irish Jewellery. Soul Engraver is an Irish master engraver who started his own jewellery collection. 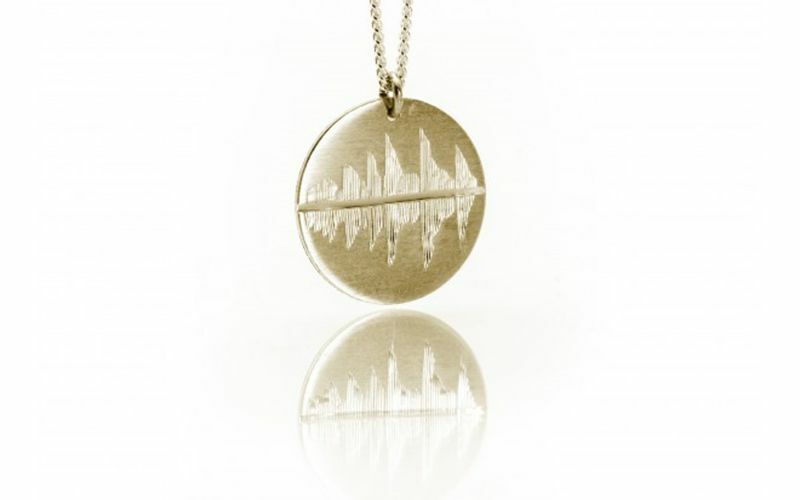 He hand-engraves soundwaves from around Ireland onto pendants, earrings, and cufflinks in both gold and sterling silver. 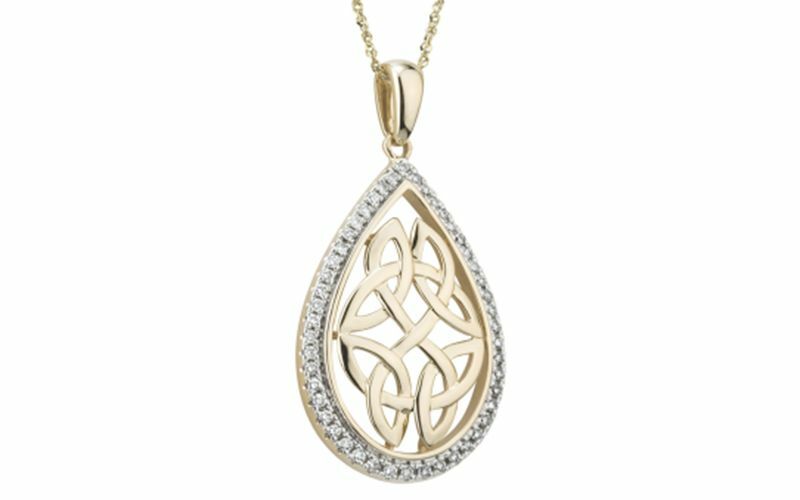 It is part of their Resonate collection which captures the soundwaves of Irish pastimes and are hand engraved onto beautiful jewellery. This particular piece is the Thundering Hooves at the Curragh engraved onto a 9ct gold pendant. The Curragh is the premier racecourse in Ireland and celebrated its 150th year of the Derby in 2015. Despite its first recorded race being in 1727, the plains of the Curragh were used long before for racing. Horses and racing are synonymous with the Irish Culture. The Thundering Hooves at the Curragh racecourse pendant contains that anticipation and excitement that enthralls us when watching the race. These pieces can be a special reminder for someone of a place or memory in Ireland that can be treasured by the recipient. Other alternatives to the Thundering Hooves soundwave include – Powerscourt Waterfalls, Grafton Street on a Summer’s Day, the Crashing of Waves at the Cliffs of Moher and more available on weir.ie. The Shamrock is commonly associated with Ireland and as a representation of good luck. The shamrock became a prominent symbol of Ireland thanks to St. Patrick who used it to educate the Irish on Christianity. It was used to represent The Holy Trinity – the father, son and holy spirit. Prior to St. Patrick, the Druids are said to have believed that carrying a shamrock could ward off evil spirits. 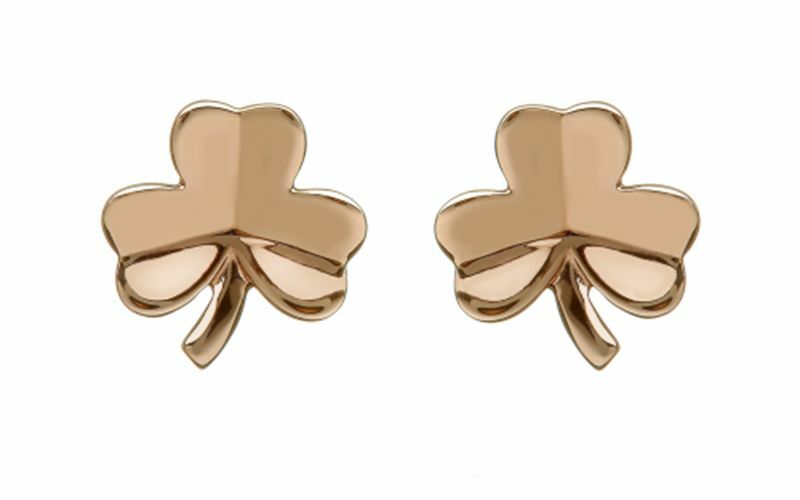 These iconic earrings are made by House of Lor in 9k rose gold. House of Lor’s gold jewellery contains Irish gold which has been mined from County Tyrone in Ireland and Hallmarked in Dublin Castle. They would be the perfect gift idea for someone in need of some luck! 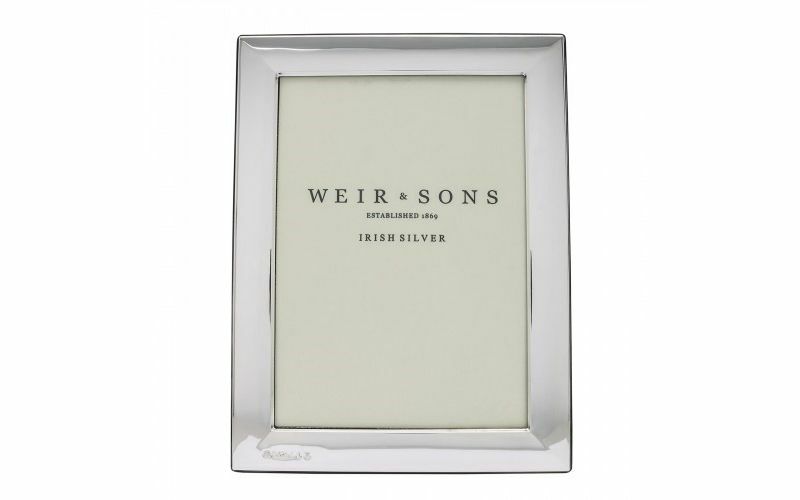 This frame is finely crafted in Irish sterling silver and has been specially made for Weir & Sons. A contemporary style frame that is suitable for engraving and available in multiple sizes. These frames are hallmarked in the Dublin Assay office with TW for Thomas Weir - the founder of Weir & Sons. This Hallmark was registered in 1872 by Thomas Weir and is used to this day on silver that has been produced or commissioned by Weir and Sons. This distinctive Hallmark enables the owner to trace the piece back to its origins and gives a guarantee of quality. This Irish Silver frame would make the perfect Christmas gift, combining both practicality and sentimentality when an engraving is added – some frames also available with Celtic designs. It is a gift that can be enjoyed for years to come and its hard to think of anything worthier of holding some of the most precious memories. 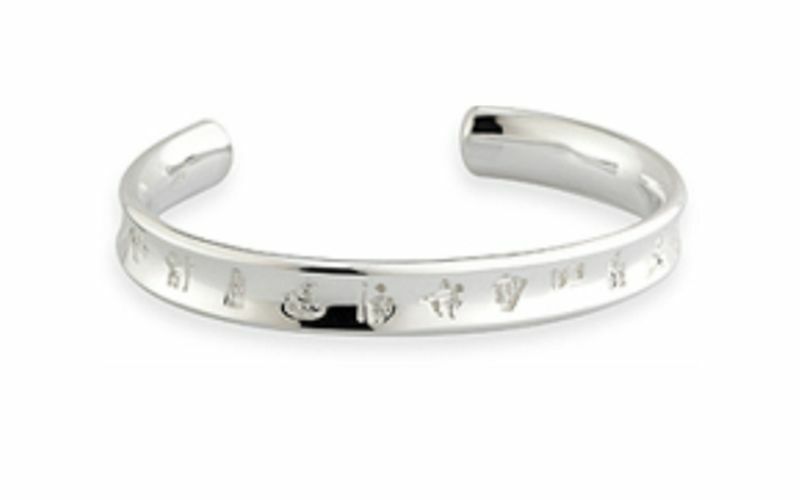 As with all History of Ireland pieces, this baby bangle has twelve symbols that represent some of the most historical eras in Irish history. The symbols start with a Celtic Swirl, this dates back to the Neolithic age and the symbols continue on to the partition of Ireland in 1920. This thoughtful piece is a reminder of historic moments in Irish history which has led to the Ireland that we have today. Made in sterling silver and hallmarked in the Assay office in Dublin castle, this piece is the perfect gift for a baby this Christmas that may have an Irish background and needs a piece of home. A thoughtful keepsake that can be kept and handed down a timeless gift. These were our Lucky 7 Irish gift ideas from Weir & Sons but there’s many more options and styles available from Weir.ie. Be sure to take advantage of the free worldwide shipping code available for use online from November 27 until December 7!